Season the fish pieces all over with salt and pepper and coat with the flour. Working in batches, dip the fillets in the beer batter and coat on both sides. 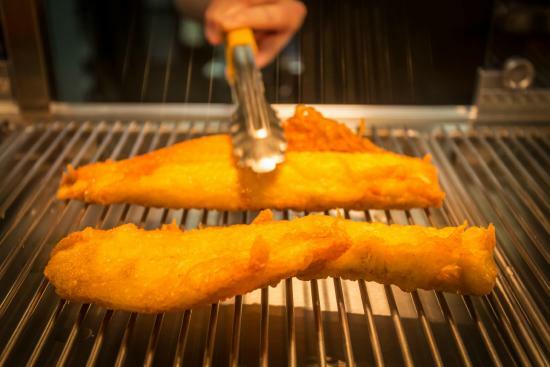 Fry in the hot oil �... Once the fish has cooled, place the lid on the container and make sure that it is air tight. Place the fried fish in the fridge. If you have a meat drawer, you can place the fish there. The batter comes out so amazingly crispy that it definitely gonna surprise you. Once you think that the amazingness is over, your taste buds will get a second installment of surprise with the succulent melt-in-mouth cubes of delicate fish!